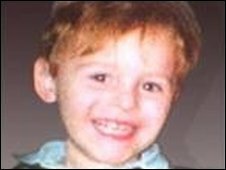 One of the killers of two-year-old James Bulger is back in prison after breaching the terms of his release, the Ministry of Justice has said. 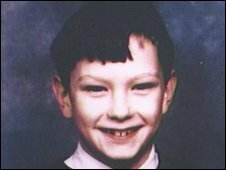 Jon Venables, now 27, and his friend, Robert Thompson, murdered James in Bootle, Merseyside, in 1993. Both killers were aged just 10 at the time. They were given life sentences, but released in 2001 with new identities and under certain licence conditions. The ministry did not detail the nature of Venables' breach of his licence. It said in a statement: "We can confirm that Jon Venables has been recalled to custody following a breach of licence conditions. "Offenders on licence are subject to strict conditions; if they breach those conditions they are subject to immediate recall." Venables' solicitor at the time of his trial, Laurence Lee, told the BBC: "He could have been recalled on licence if he committed an offence, it could be that he returned to Merseyside, it could be he might have approached the family. "There is no evidence so far that he did any of these things." Retired Det Supt Albert Kirby, who led the murder inquiry, said he was surprised Venables was back behind bars. He added: "I've always thought, with regards to that particular boy, that from what we've heard over the years there was every possibility he would have avoided going back into prison." A relative of Denise Fergus, James's mother, said the family had no plans to comment on Venables' return to prison at this time. But Mr Kirby told BBC News he had spoken to James's mother and the news had brought "a whole load of anxiety" back to her. He said: "There's always been a lot of anxiety as to where both boys are. "To hear something like that this evening; it brings back to her a lot of the concerns, quite understandably, that she and any other parents in these sorts of circumstances would have." On 13 February 1993, Venables and Thompson abducted James from a shopping centre in Bootle and killed him on a railway line. A week-long appeal followed, with CCTV footage being released of the little boy holding the hand of one of his killers as he was led out of the Strand shopping centre. When Jon Venables walked out of prison in 2001, it was not as a free man. His release came because the Parole Board decided the public would be safe if he were allowed into the community on a licence that includes strict conditions. A criminal's recall to prison is triggered by one of three circumstances. He either committed a crime, showed the signs that he was about to, or breached specific conditions imposed. Breaches can be technical, such as being out of the home at the exact start of a curfew, or far more serious, such as contacting a victim's family. Venables will be told why he is back inside and he can seek a full oral hearing before the Parole Board. But with public protection being the top priority, the panel will start with the case for keeping him inside, rather than the argument for letting him out. The toddler had been approached and befriended by the two boys while his mother was in a shop. James's body was found by children playing on a freight railway line near Walton Lane police station. He had been beaten to death with bricks and an iron bar. The 10-year-old killers were arrested days later and became the youngest to be charged with murder in the 20th Century. Eight months later they were convicted following a 17-day trial at Preston Crown Court and ordered to be detained at Her Majesty's pleasure. In 1999 the European Court of Human Rights decided they should not have been tried in an adult court. Despite public outcry, two years later the parole board recommended their release as they "were no longer a danger to society". More than 300,000 people signed a petition saying the sentence of eight years was too short. Both Thompson and Venables were given new identities when they were released. An order prohibiting the publication of details which could reveal their whereabouts has remained in place since their release.